At some point, we all rely on kitchen ingredients to aid our beauty routines. Whether you use turmeric for skincare, teabags to soothe puffy eyes or honey to zap those zits, these natural ingredients provide us with effective solutions without any side-effects. One such useful kitchen ingredient is apple cider vinegar (ACV). This multi-purpose ingredient has anti-bacterial, anti-fungal and anti-inflammatory properties that can be used to boost your skin, hair and beauty regimes. Read on to know more about these beauty benefits of apple cider vinegar. Do you dread those acne bumps that pop up when you least expect them? 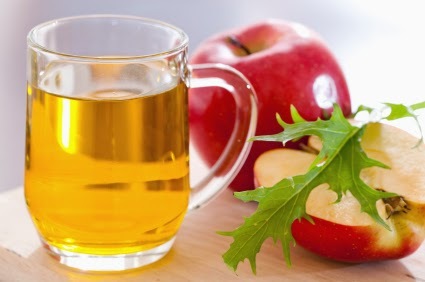 Use apple cider vinegar on your acne to zap them off. The acidity in apple cider vinegar dries out the acne and helps shrink your pimples quickly. You spent a little too much time out in the sun and now your skin feels inflamed and sunburnt? Fret not, soak a soft cloth in apple cider vinegar and apply it to your inflamed skin. This remedy will effectively soothe your skin. Bad breath can be an instant turn-off for the people around you. Get rid of this embarrassing condition by rinsing your mouth with a mixture of apple cider vinegar and water. The antiseptic properties of apple cider vinegar will help eliminate bad-breath causing bacteria and plaque too. The natural acids in apple cider vinegar will help fight dandruff and soothe your scalp too. Mix together equal parts of apple cider vinegar and water and apply it to your scalp for about 15 minutes before you wash your hair. This will take care of dandruff for good. Apple cider vinegar can be your one-stop solution to get rid of hair problems like frizz, dry hair, scalp irritation and more. Skip your shampoo and wash your hair with apple cider vinegar instead. This will help you get rid of build-up and leave your hair shinier and healthier.